Manufactured by Jurox, Popantel Allwormer for cats treats all species of gastrointestinal worms found in cats. It kills and prevents roundworms, hookworms and tapeworms found in 2 weeks and older kittens and cats. Active ingredients praziquantel is an effective anthelmintic and pyrantel embonate is an ideal deworming agent for treating hookworms. The tablets are clinically tested to suit all breeds of cats. The non-bitter taste of the tablets makes it easily palatable and suits young kittens, adult cats, pregnant and nursing cats. 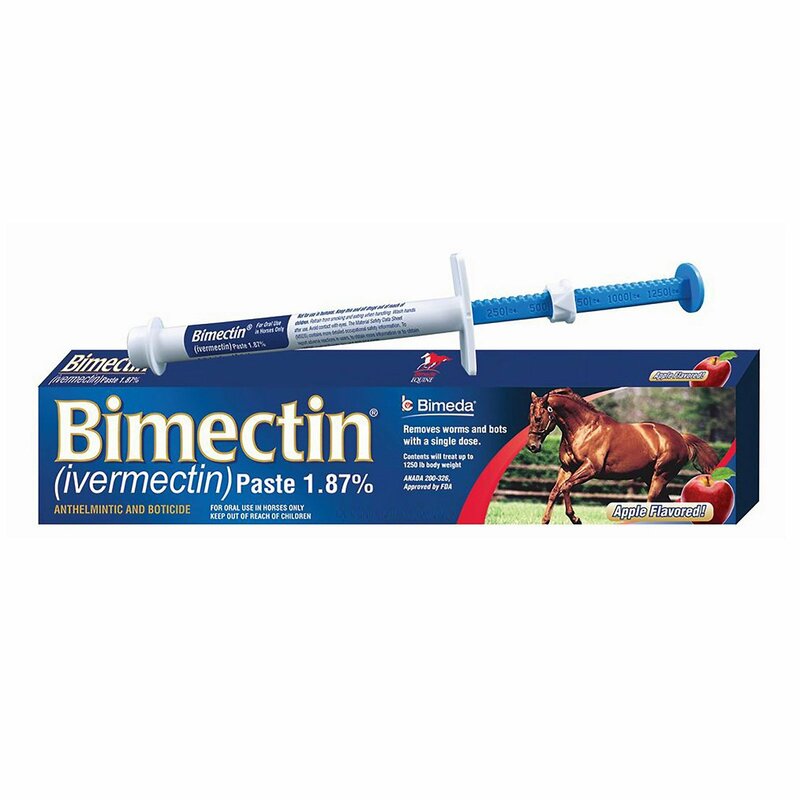 The tablets when administered on a regular basis save the pet from various parasitic diseases. 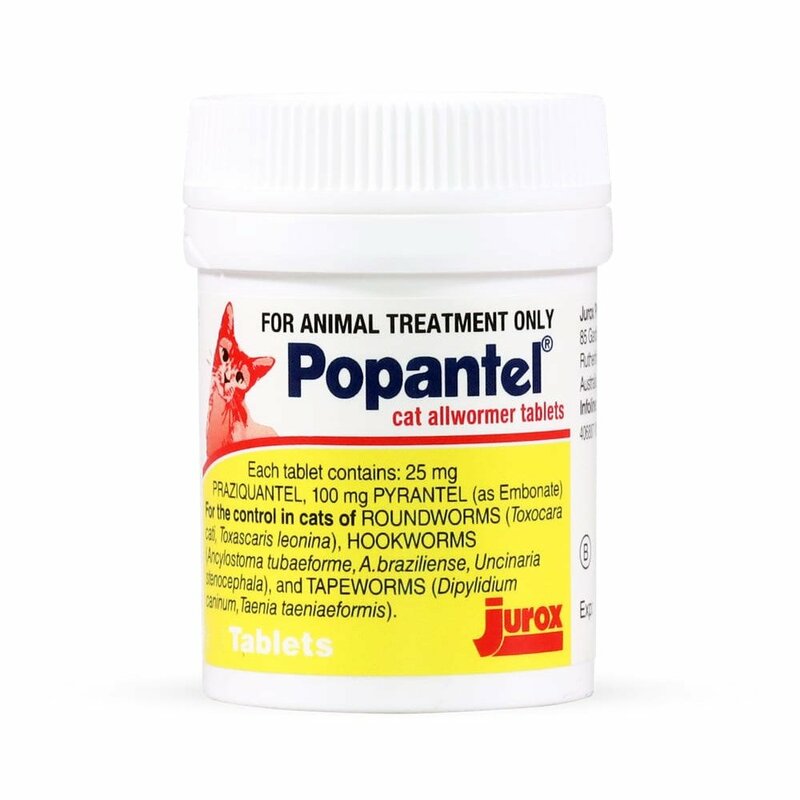 Popantel Allwormer for cats is an effective treatment for intestinal worms including roundworms, hookworms and tapeworms (including hydatids). It treats, prevents and controls worms in kittens, adult cats, ageing felines, pregnant queens and show animals. Given as a single dose, the tablets save the pet from various diseases caused by intestinal parasites. P.S: One tablet quantity does not mean one bottle. Drontal tablets will be shipped with pack insert in sealed polythene. Popantel tablet dosage is administered in accordance with the weight of the cat. Keep the pet empty stomach and give the accurate dose directly by mouth. 1 tablet per 5 kg bodyweight for cats weighing over 5 kg. Treatment for kittens – In accordance with the weight, give accurate dose of Popantel at 6, 8 and 12 weeks of age. Repeat at every 3 months. Treatment for adult cats – Give accurate dose at every 3 months. Treatment for pregnant and lactating queens – Give dose before mating, 10 days prior to kittening and 2 and 4 weeks after kittening. Consult a veterinarian for treating pets with heavy infestation and when there are more pets in the household. Do not administer to kittens younger than 2 weeks of age. Take veterinarian guidance for heavily infested pets or for house with many pets living together. Wash hands after administering popantel Allwormer tablets to cats. It's good to know I can find the same products I've been getting at my Vet's office, but for a much better prices. 249 of 258 found this review helpful. I am a first time customer and am very pleased with the service and quality of the products I bought. 378 of 396 found this review helpful. I used your popantel. no more tape worms in my 3 cats. Now there running around happy and healthy . I purchased Front Line Plus from you and the package arrived fast and undamaged. I feel that your products are genuine and I am very glad to find you online. Your prices are cheapest I could find online. 364 of 404 found this review helpful. 287 of 311 found this review helpful. Very pleased to see such great prices better yet no vet visits needed! 304 of 328 found this review helpful. This product works great! My kitty spends time hunting so I keep this on hand. My daughter has 8 cats and we used this product for them and it worked like a charm and they are much much cheaper than the vets. 292 of 316 found this review helpful. 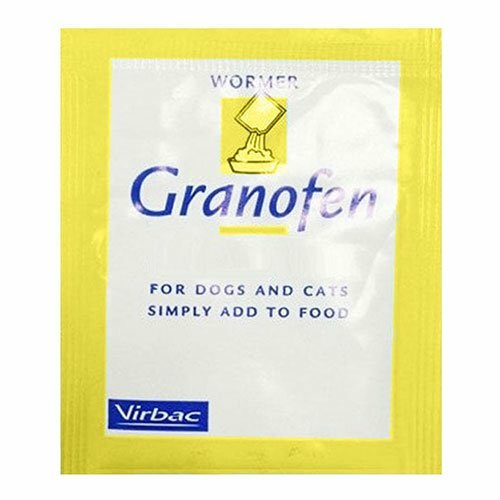 I am truly impressed with the quick delivery and the quality of the product as my feline got free from intestinal worms rather swiftly after giving this oral tablet. Thank you BudgetPetCare!! 292 of 334 found this review helpful.